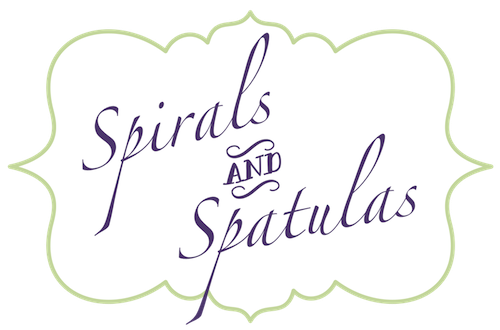 Spirals & Spatulas: Merry Christmas from Jeff & Katie! I actually REALLY like these cards. They're not as thick as the Tiny Prints ones, the envelopes were more flimsy, and they don't have printing on the back, but the design is cute and the price was right! I just like how festive they look! Here's our Tiny Prints card! I did end up going with one of y'all's favorites from my Tiny Prints post, and I'm so happy with how it turned out! I put a photo of us with the house and our new address on the back. I loved both of the cards we sent out a lot, and I really enjoyed only having to pay for a portion of them! 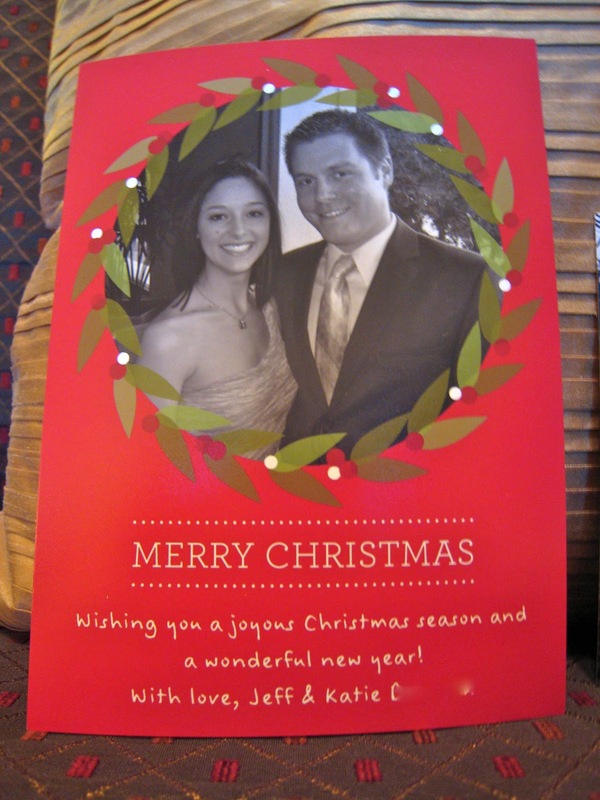 :) We put them in the envelopes, stamped them with our round return address stamp, and affixed matching address labels to the front (blue font for the Tiny Prints card and red font for the Wal-Mart one!). I hope they bring a smile to the faces of our friends and family!